President Tony Tan Keng Yam has written a letter to Vietnam's new president, Mr Tran Dai Quang, extending congratulations on his appointment. In his letter to Mr Quang, President Tan said: "I am confident that Vietnam will continue to grow and prosper under your leadership." He pointed out that Singapore and Vietnam are long-standing friends and that bilateral relations have flourished over the years. "I am confident that our two countries will continue to expand and deepen our cooperation across all areas," Dr Tan wrote. He also invited Mr Quang to make a state visit to Singapore. 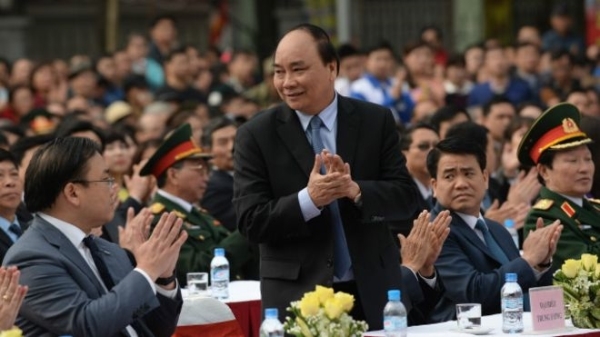 In his letter to Mr Phuc, Prime Minister Lee said: "Your appointment takes place at a critical juncture in Vietnam's development, especially with Vietnam's growing integration with the global economic community. I am confident that you and your colleagues will be able to steer Vietnam towards greater growth and prosperity." Mr Lee noted that Singapore is the third-largest foreign investor in Vietnam and that bilateral trade has been expanding over the years. He also underlined the relationship between the two countries in the Asean grouping and other regional and international forums. "I look forward to working with you to expand and deepen the strong ties between our two countries," wrote Mr Lee. He also invited Mr Phuc to make an official visit to Singapore.